Sky is a British satellite broadcast service provider. Chowmain has developed an IP based driver that provides control over UK based Sky set top boxes. This IP driver eliminates the need to attach infra red emitters to the set top box and is compatible with the Sky+ HD, Sky Q and Sky Q mini boxes. On top of IP control the driver also provides automatic channel media list updates for Control4. This ensures that the channel listing on Control4's user interface is always upto date with the latest channels for that particular region. As an alternative we have also provided the Chowmain Sky Channels driver which provides HD artwork and now playing data for every channel! This makes channel surfing with Control4 that much easier. Your customer's sky media list will always be upto date with all the channels for their particular region. The Chowmain RF_SKY cloud will provide HD artwork and also updated meta data for what is currently playing on each channel thus making channel surfing even easier with Control4. Fix for channels not playing when programmed via programming tab. This issue was introduced in version #20180612. Added optional now playing synopsis page with now playing image, show title, ratings, duration and more. This is enabled by default but can be disabled in the driver's properties page. Updated Sky Channels to new online endpoint. This should resolve limited channels returned for regions. Genres are now dynamically generated rather than hard coded. Means channels numbers will fit in dynamically to their respected genres nicer. Modified so that if Sky Q Box is entered it will use the channel numbers available from the Sky Q Box and will obtain the meta data online based on the channels returned from the box. If Sky Q box offline it will revert to using the online endpoint. Note online endpoint does not have the full range of available channels. Updated Sky Channels to new online endpoint. Changed default SkyQ port number to reflect latest firmware port rather than having to poll firmware version first (makes first setup quicker). Resolved Pause command not executing Pause event. Made further improvements to detection of firmware version. This will resolve issues where the driver thinks it should revert back to the older communications on packet loss. 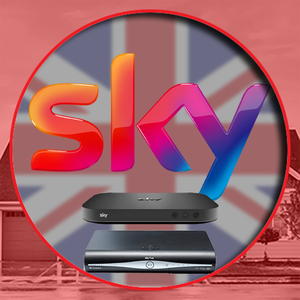 Fixed issue caused by driverCentral tonumbering code for Sky Channels. Made improvements to Connection Status Event capability. Added Connection Status event, variable and property. The driver will attempt to connect every minute and if it fails 5 times in a row will fire the offline event. Once it re-establishes the connection it will fire the online event. Updated Sky Channels driver to use Sky's own image resizing rather than Googles. Faster and higher quality images now. Added User High Res Images option. This is used to speed up image downloading for navigator first run and also resolve crashes on devices like iPad due to exceeding cache limitations. Added Chowmain Sky Channels driver. Added Sky Button as option for button mapping.